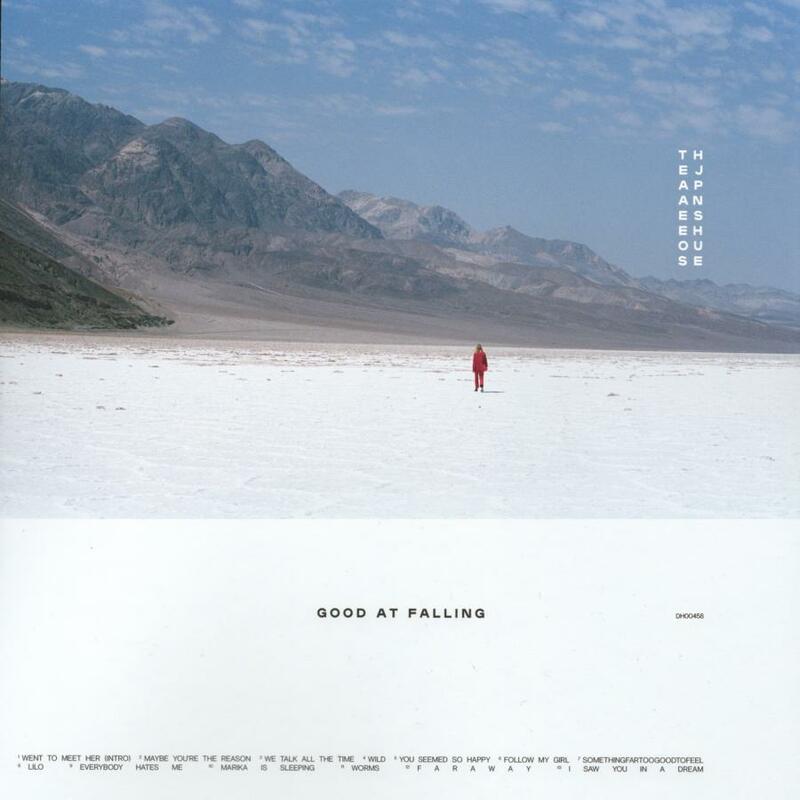 There’s a lot that can be extrapolated from an album entitled “Good at Falling.” The most obvious response I can think of is that it invites contemplation on how to get through trials gracefully. Life, by nature, is messy. Yet there is a beautiful narrative that ties everything together in the end. The dreamy, melancholy sound that stretches through The Japanese House’s latest effort expresses this sentiment well. Friends of mine have been talking up The Japanese House for the past couple of years. This, the moniker of Amber Bain, is the latest in a stream of alternative pop acts from the UK that are making waves in the US of A. She is on Dirty Hit Records: label mates with The 1975, Pale Waves, Wolf Alice, and Columbus (our hometown)’s own The Candescents. With the release of this album, I feel like I’m finally catching up to the hype. “I keep looking for something, even though I know there’s nothing” is a line in album opener “Maybe You’re the Reason” (if we’re not counting the intro) and that at first impression feels hopeless, but it is sung with a matter-of-fact tone that implies that the protagonist is trying to learn her lesson and move forward. In spite of this the singer is very honest about her own shortcomings. In “Follow My Girl” she muses “I found a subsidence, and I overlooked it” in the second verse. In other words she has a tendency to overlook their own character flaws. This definitely speaks to the human experience—we all tend to have a higher view of ourselves at times, and day by day purposefully looking past areas where we can improve is simply the easier thing to do. A highlight of the album emerges in “somethingfartoogoodtofeel,” a sad song of sorts written during a vulnerable time in the singer’s life. What starts as a Bon Iver–esque lofi track transforms into a driving march that could be perseverance personified and then playing those drums. It’s a neat effect that communicates a sense of catharsis and calm. Something particularly striking has happened to me while listening—my perspective shifts each time I come back to it. You may think that’s normal, but the feeling I expect to feel is always a little bit off kilter from what I feel when I come back to listen. The general spectrum has been the same, but this album seems to be adaptable to whatever emotion I’m feeling at the time. It runs the gamut but stays palatable in a very satisfying way. I have a feeling that this album will have some real longevity in my music library. Follow The Japanese House on Facebook, Twitter, and Instagram.